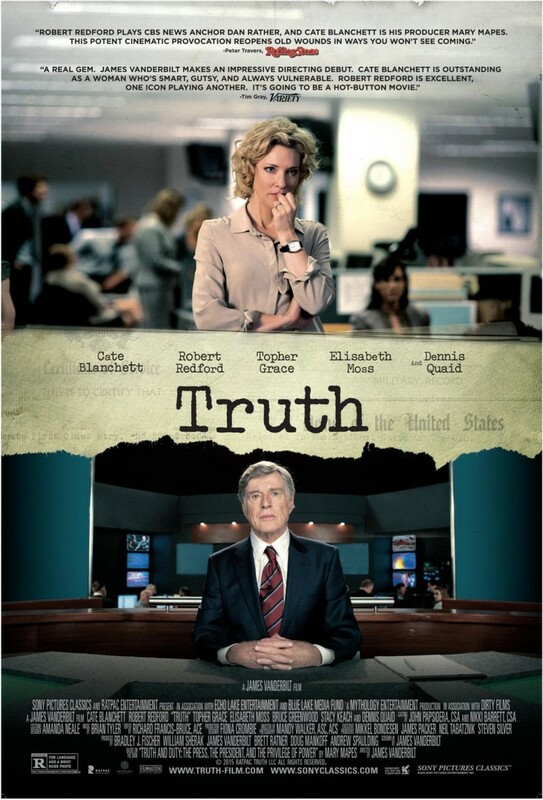 Truth DVD and Blu-ray release date was set for February 2, 2016. The year is 2004, and President George W. Bush is gearing up for his re-election. CBS News breaks a story accusing him of using his dad's political power to avoid going to war in Vietnam. At first, this seems to be a deeply damaging secret, but respected anchor Dan Rather begins to lose his credibility as it is revealed that he made the claim without any sufficient evidence. Both he and Mary Mapes, who is in charge of CBS News, face dire consequences to their reputations and careers as news of this falsehood begins to spread to the general public.